Knowing there is nothing he can do about the others' predicament, Fenn continues climbing carefully down, hoping to reach the bottom before long. Claudius unsheathes his sword and looks around while Fenn catches up to them. Claudius and Anakunaisi have landed in a hallway of sorts. Water fills it up to their ankles, and the fog ends above their heads like a strange cloud. The wall they were climbing down is at their backs, and in front of them is a rough cut corridor, too intentional to be natural but lacking in anything but utility. Fenn has managed his way down by the time Anakunaisi has got a torch lit. Its fire looks sickly in the green tinged light that emanates from down the passage. "Shall I take the lead?" whispers Claudius. "I can move silently and still be prepared to deal with any trouble ahead." Anakunaisi nods. "Take the lead. We follow a few steps behind." If the sickly light is enough to see, Anakunaisi doesn't light a torch. A torch attracts attention. Claudius advances softly, gripping his greatsword in both hands. Fenn brings up the rear. The trio move down the corridor at a snail’s pace, the sound of their splashing footfalls echoing around them. They emerge into a cavernous room, and are stopped dead in their tracks by the simultaneously terrifying and awe-inspiring sight before them. Towards the back of the room, partly submerged in water and muck, is a titanic corpse. A creature with a bulbous head reminiscent of both a whale and a pale, hairless man. It’s visible appendages terminate in clawed, flipper like growths. The reek of the thing is almost enough to overcome the scouts completely, and, horrifyingly, the green light they have been navigating by seems to emanate from its slick, rubbery flesh. If the scouts can keep their wits about them, they notice the rushing and splashing of recently awakened cultists who begin to emerge from alcoves cut into the rooms walls. OOC: We'll just retcon the torch then. It's a 1/1d10 SAN roll for seeing the whale/man creature. Anakunaisi has seen foul things before... but this... this... this is something worse. Bile and acid fill his throat, and he throws up. He tries to grab his weapons, but his hands are shaking from the violent spasms in his innards. Fenn manages to keep his wits about him enough to raise his sword and shield against the oncoming cultists. Claudius's eyes go wide. "By Mitra," he mutters under his breath. He doesn't understand what this bizarre thing is. All he knows is that he must take one cultist alive and kill all the others. He moves toward the nearest one, hoping to bludgeon him unconscious with the flat of his blade before he can properly awaken. Claudius rushes to the nearest cultist who is still making his way to his feet. The trio can see that three other cultists are awake and scrambling for weapons. They are, however, far enough away that the scouts maybe able to retreat without engaging in a melee, and before the rest are up and active, if they are quick enough. Apologies for the delay, I recently got a new job in a different state and real life has been a little hectic. Also go ahead and roll your attack for me Mr. Handy. As the cultists scramble for their weapons, Fenn swings his sword at the one nearest him, aiming the blade below the waist in an attempt to disable him without killing. Claudius' swing goes wide and the cultist stabs at him, but slips in the muck and misses. Fenn knocks the wind out of a charging figure with the flat of his blade, and the mud smeared, scrawny man crumples to the ground. Claudius, seeing that Fenn has a prisoner already, lunges again at his foe, this time not bothering to use the flat of the blade. 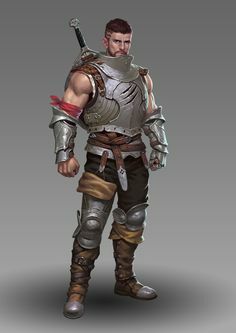 He is confident that he can either parry the man's dagger if he withstands the blow, and if not, his armor should be able to deflect it. However, it is highly unlikely that the man will survive. "We must flee before we are overwhelmed!" Fenn shouts. Disarming the felled cultist, he lifts the prisoner over his shoulder and looks around. Is there another way out of here or must they climb back up the abyss? Claudius brings his full force to bear on his mud covered foe, connecting at his collar and and arcing down and at a diagonal, slicing the man neatly in two. Hefting the emaciated man, Fenn searches for an exit, but with most of his view taken up by the monstrous corpse the only choices he can see are heading back or going around the creature... and through more cultists. Claudius retreats (he will not bring himself to think of it as fleeing), trying to catch up to Fenn. "Quickly, back the way we came," he says. Carrying the prisoner over his shoulder, Fenn jogs back along the entrance passage as fast as he is able. "I hope that floating sorcery works going up as well as down," he mutters.